Just came back from Dillon's. 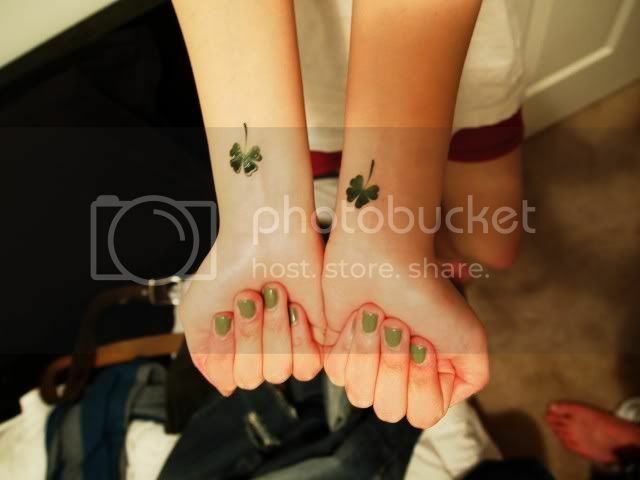 Booze - beef stew - choco pudding - shamrocks - temporary tattoos planted by Sammie. ...and look, green nails too, all thanks to AA's 'Army Jacket'. The color reminds me of 'Jade' by Chanel few seasons ago.